Shopping for home improvements, such as roofing, can be a very difficult task because your final product is intangible until the job is complete. Unlike buying a car, a roof cannot be test driven or inspected before it’s purchased, but rather you are at the mercy of the roofing contractor’s word, reputation and experience. For this reason it is critical to choose a roofing company whose performance record is “as good as a test drive”. This is our specialty! We don’t claim to be the lowest priced contractor you’ll call. The best roofing companies simply cannot be the lowest and remain in business. Some roofing companies seem attractive because their prices are so low, but with low prices, they provide cheap products and generally produce mediocre to poor results in their installations. A company’s past performance speaks volumes. All roofing contractors are not alike! How can you tell a qualified contractor from an unqualified one? The NRCA offers this guide to consumers on how to choose a roofing contractor. Read it before you buy and hire a professional when you do. Pre-qualify your roofing contractor and you can expect the best results. Confirm that your contractor is well-established with a permanent place of business, telephone number, tax identification number and business license. Insist on seeing copies of the contractor’s liability and worker’s compensation coverage. Make sure the coverages are in effect through the duration of the job, and that the liability coverage limits are adequate for your project. If your contractor is not properly insured, you may be held liable for accidents that occur on your property. Many homeowners and building owners have been dragged into litigation involving uninsured roofing contractors. Look for a roofing contractor with a proven track record that offers client references and a list of at least 1000 completed projects. Call these clients to find out whether they were satisfied. Check to see if the roofing contractor is properly licensed. 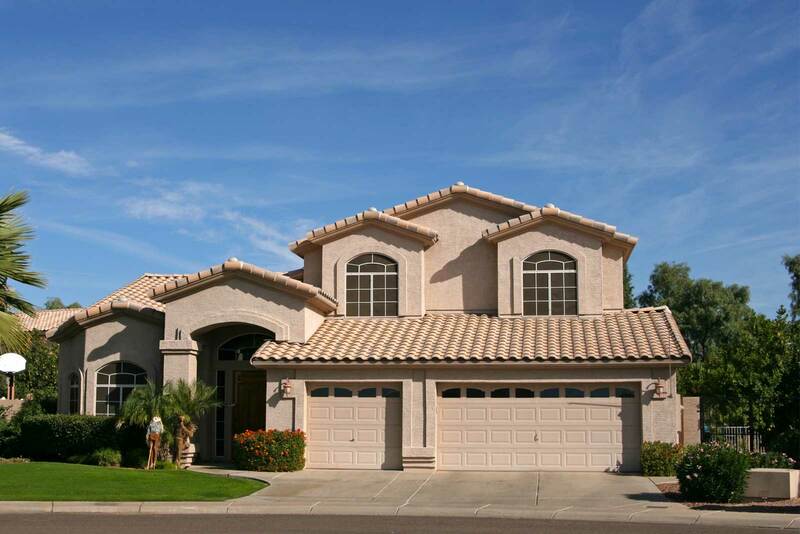 The State of Arizona requires all roofing contractors to have a contractor’s license. You can verify that a contractor has a current license by going to http://www.azroc.gov/ addition, some contractors are able to obtain bonding from surety companies, while others are not. Make sure the company is financially stable. A professional roofing contractor can certify the financial strength of the company by providing a “bank letter” from its financial institution. Insist on a professionally written proposal and examine it for complete descriptions of the work and specifications, including payment procedures. Ask the contractor if his company is a member of the National Roofing Contractor’s Association and the Arizona Roofing Contractor’s Association. Involvement in a professional organization enables a contractor to be better informed about the latest developments in the roofing industry so that he has the knowledge and resources to meet your needs. Check with the Better Business Bureau to receive their rating of the contractor and to see if complaints have been filed against the company you are considering doing business with. Ask the roofing contractor for a list of the roofing manufacturers with which they are approved applicators. The installation of most roofing materials requires training and special application expertise to provide a quality roof system that will last. Insist on having experienced, trained, professional craftsman install your new roof. Have the contractor explain his project supervision and quality control procedures. Request the name and phone number of the person who will be in charge of your project, how many workers will be required and the estimated amount of time needed to complete the job. There are two categories of roofing warranties: the contractor’s warranty, which covers workmanship, and the roofing material manufacturer’s warranty. Be sure the contractor offers a warranty that covers his workmanship, and will be in business in the future to back up his warranty. A manufacturer’s warranty alone will not protect you if the roof is improperly installed. Carefully read and understand any roofing warranty offered and be aware of provisions that would void it. Carefully consider all factors when selecting a roofing contractor. Keep a healthy skepticism about the lowest bid and those that are considerably lower than the others for the same work. If it sounds too good to be true, it probably is. A very low bid may seem attractive, however, often a contractor offering such a low bid is uninsured or performs substandard work. Remember, price is only one of the criteria for selecting a roofing contractor. Professionalism, experience and quality workmanship should also weigh heavily in your decision.